How do I search for documentaries, movies or videos in Summon? The University Library has a wealth of streaming video and DVD materials. 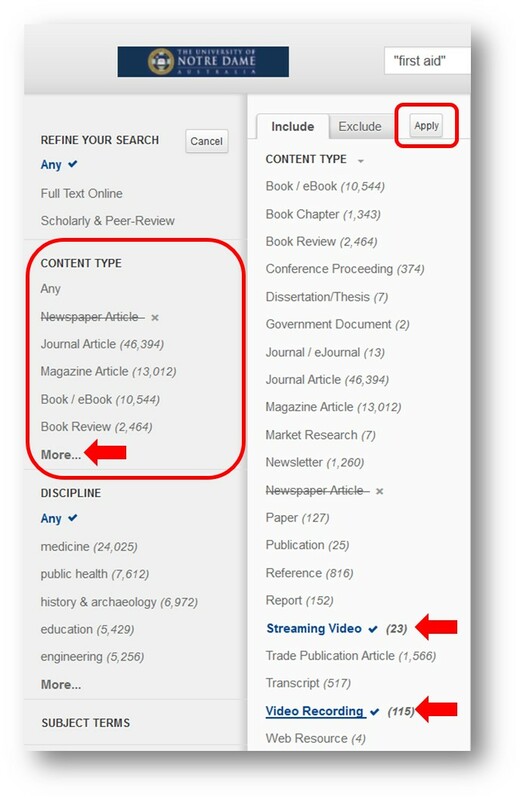 To refine your search results to Streaming Video and/or Video Recordings only, choose from the More... list of Content Types and click Apply.